Magento 2 comes with advance Cache management in order to handle best performance optimization. 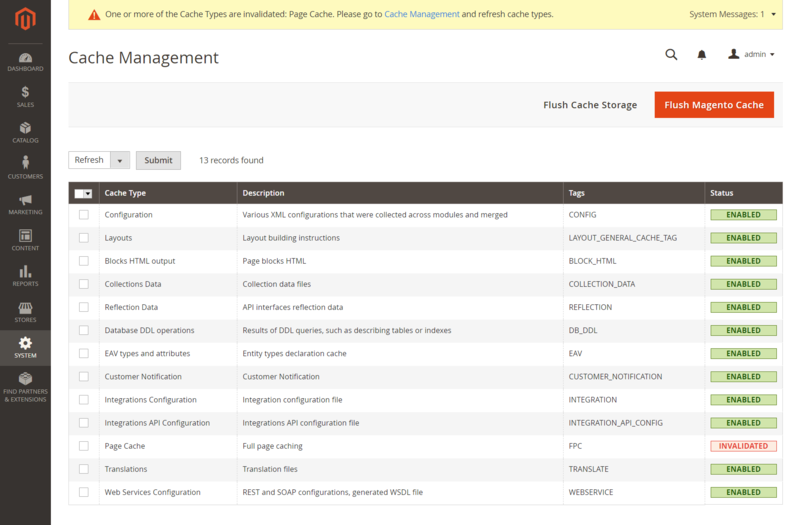 There are 12 different kind of cache in magento 2. Configuration config Magento 2 collects configuration from all modules, merges it, and saves the merged result to the cache including store configuration. if you omit the typename then by default it will enable/disable all the modules. Omitting the typename flush all the cache types. Cleaning a cache type deletes all items from enabled Magento cache type. In other words, this option does not affect other processes or applications because it cleans only the cache that Magento uses. Disabled cache types are not cleaned. Omitting the type name clean all the cache types.